While solar cell technology is currently being used by many industrial and government entities, it remains prohibitively expensive to many individuals who would like to utilize it.. There is a need for cheaper, more efficient solar cells than the traditional silicon solar cells so that more people may have access to this technology. One of the current popular topics in photovoltaic technology research centers around the use of organic-inorganic halide perovskites as solar cells because of the high power conversion efficiency and the low-cost fabrication. Perovskites are a type of crystalline material that can be formed using a wide variety of different chemical combinations. Of the many different perovskites formulations that can be used in solar cells, the methylammonium lead iodide perovskite (MAPbI3) has been the most widely studied. Solar cells made of this material have been able to reach efficiencies exceeding 20% and are cheaper to manufacture than silicon. However, their short lifespans have prevented them from becoming a viable silicon solar cell alternative. In order to help create better solar cells in the future, members of the Energy Materials and Surface Sciences Unit at the Okinawa Institute of Science and Technology Graduate University (OIST) have been investigating the cause of rapid degradation of these perovskite solar cells (PSCs). 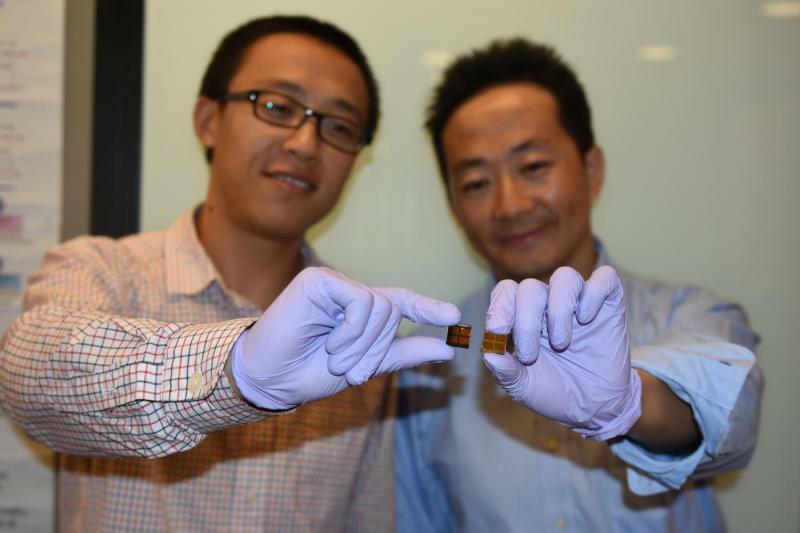 Dr. Shenghao Wang, first author of the publication in Nature Energy, suggests that the degradation of MAPbI3 perovskites may not be a fixable issue. His research reveals that iodide-based perovskites will universally produce a gaseous form of iodine, I2, during operation, which in turn causes further degradation of perovskite. While many researchers have pointed to other sources, such as moisture, atmospheric oxygen and heat as the cause of MAPbI3 degradation, the fact that these solar cells continue to degrade even in the absence of these factors led Wang to believe that a property intrinsic to these PSCs was causing the breakdown of material. "We found that these PSCs are self-exposed to I2 vapor at the onset of degradation, which led to accelerated decomposition of the MAPbI3 perovskite material into PbI2." Wang explained, "Because of the relatively high vapor pressure of I2, it can quickly permeate the rest of the perovskite material causing damage of the whole PSC. This research does not rule out the probability of using perovskites in solar cells, however. Professor Yabing Qi, leader of the Energy Materials and Surface Sciences Unit and corresponding author of this work, expounds "our experimental results strongly suggest that it is necessary to develop new materials with a reduced concentration of iodine or a reinforced structure that can suppress iodine-induced degradation, in addition to desirable photovoltaic properties". 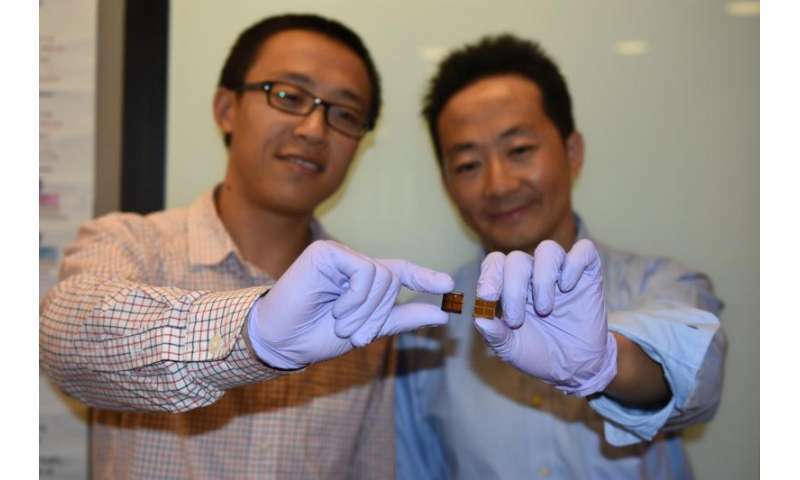 These researchers at OIST are continuing to investigate different types of perovskite materials in order to find more efficient, cost-effective, and long lifespan perovskite material suitable for use. Their ultimate goal is to make solar cells that are affordable, efficient and stable so that they will be more accessible to the general population. Hopefully, better, cheaper solar cells will entice more people to utilize this technology.